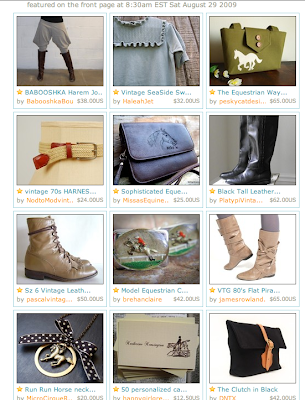 My Equestrian Wayfarer Purse made it to Etsy's front page two days in a row! At first I thought I was seeing double. The two treasuries are almost identical. 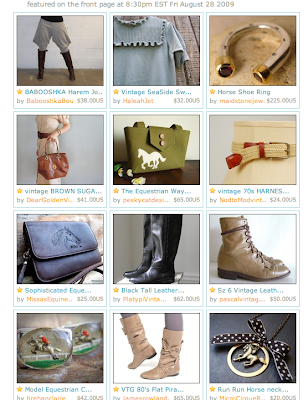 Thanks Etsy for including my purse in your cool and eclectic front pagers. I got a lot of traffic to my shop and acquired some lovely shop hearts. I got the screen shots above through Heartomatic, a site that allows Etsy sellers to see if they have been featured on the front page within the past 24 hours. If you are a Etsy seller Heartomatic has a lot of useful tools. 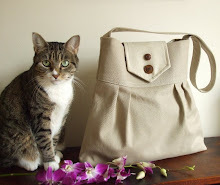 Also check out Craftopolis to find out if you have been featured in a treasury and more! Congratulations! 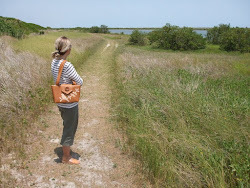 That equestrian inspired purse is a beautiful design!